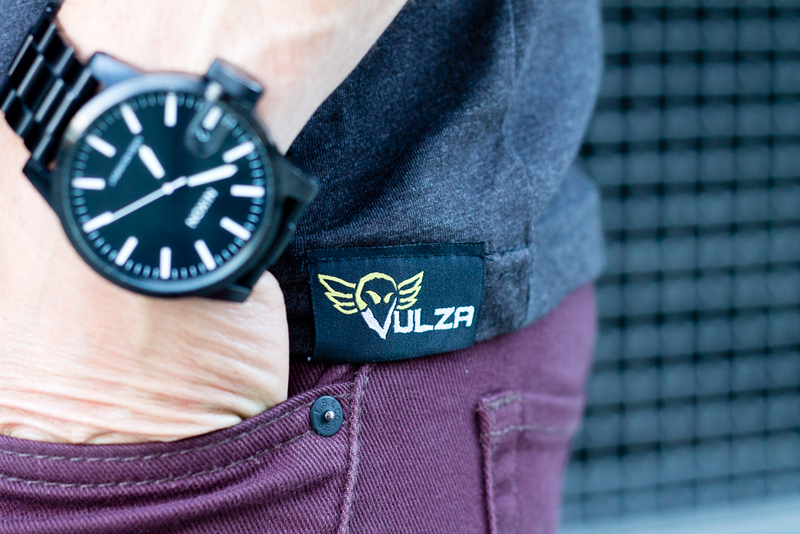 I am so excited to share our collaboration with the amazing clothing company Vulza! 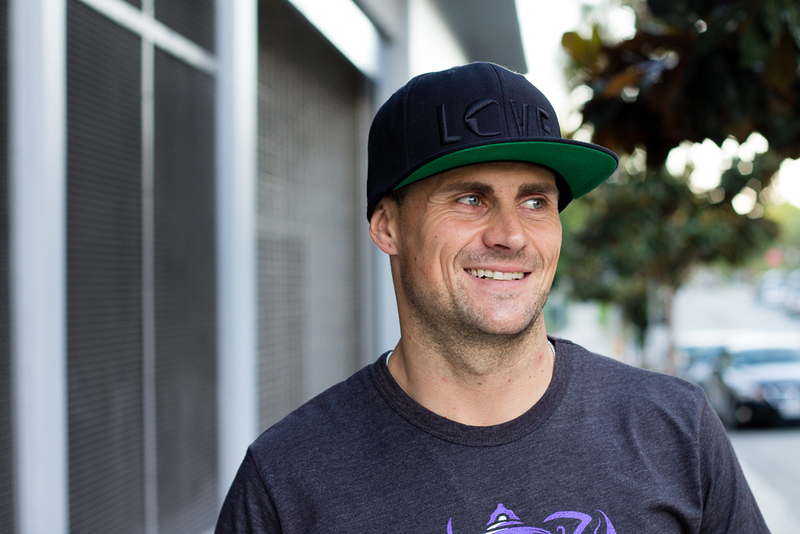 Based right here out of Venice, California, Vulza is lifestyle brand that caters to those who love to skate, surf, and snowboard. 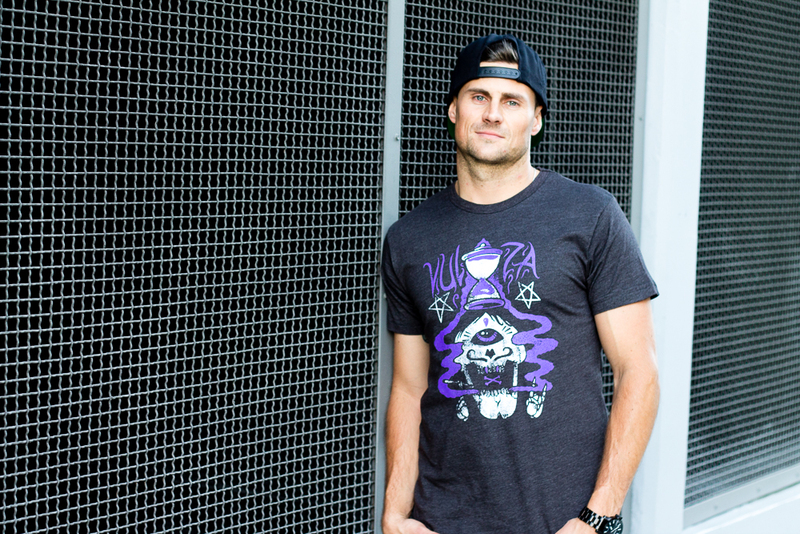 Vulza contracts with emerging and incredibly talented artists to design the artwork for their super soft tees, and I absolutely adore this company not only because they support new talent but also because their tees are all so incredibly unique. 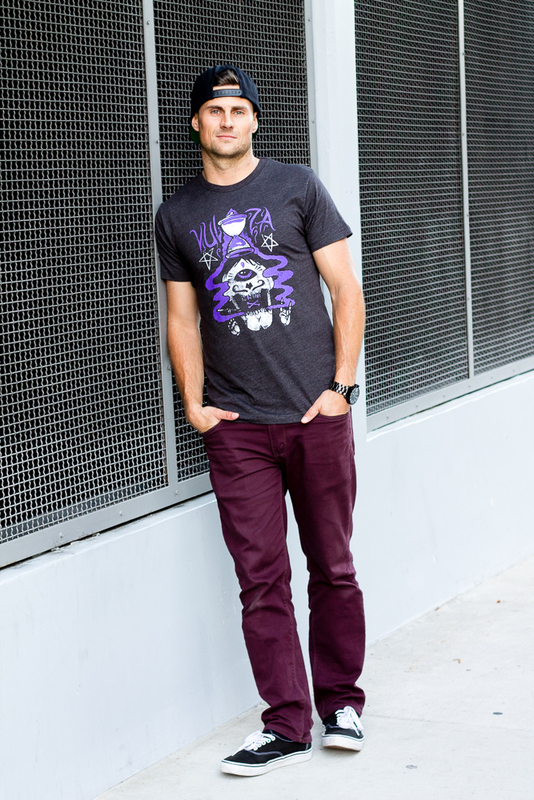 You won’t find tees like these at your generic PacSun or Nordies. 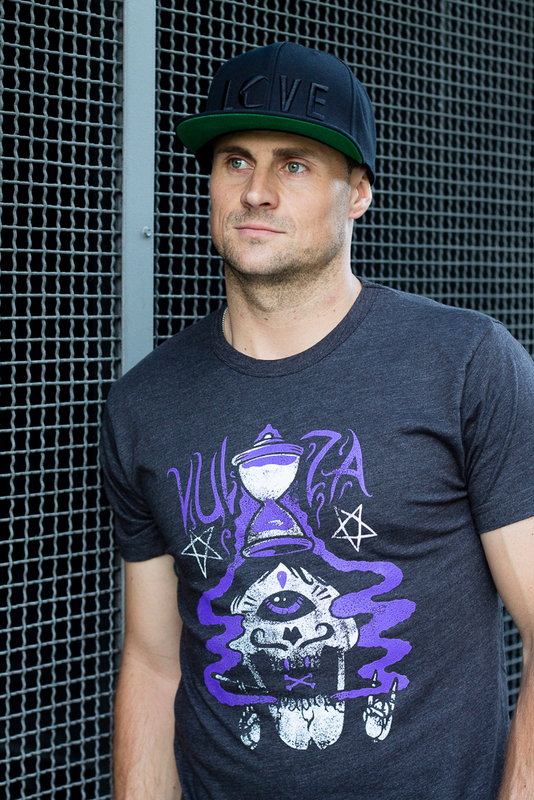 Big C is wearing the ‘Timeover‘ tee designed by Chris of KillerArtWorx, an amazing artist from Germany. 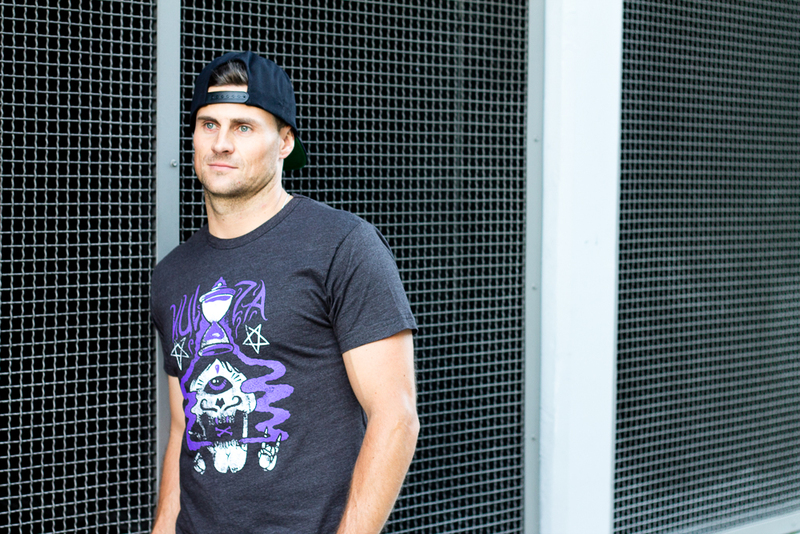 I am also in love with the ‘Frosty‘ tee by Canadian artist Butch the Butcher, and the ‘Up-Root’ tee designed by Belarus based artist Anton Yeroma. 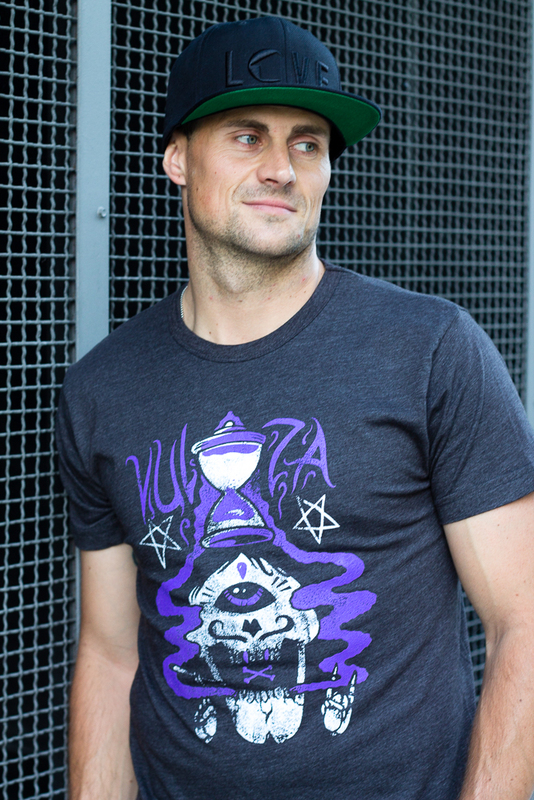 Along with their unique designs, Vulza’s tees are really modestly priced, making them my newest fav for men’s tees and hats. 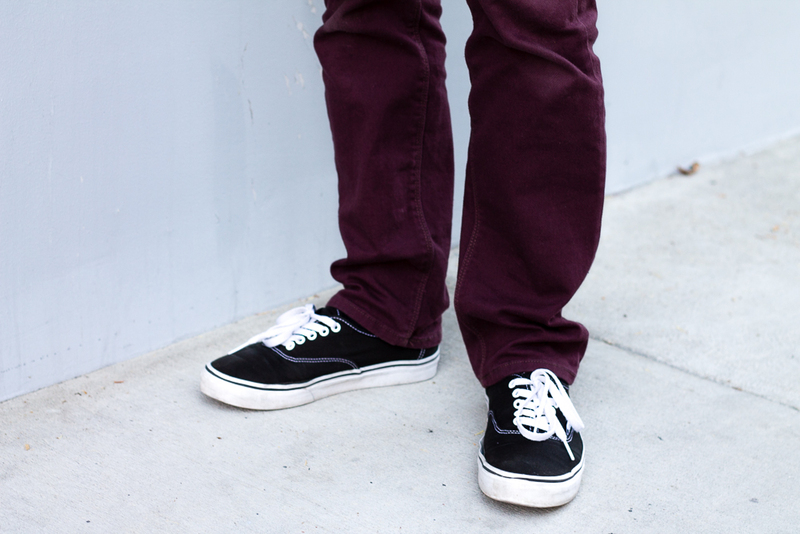 If you have a dude in your life who is all about the skate-surf-snowboard lifestyle (or just wants to look like he is), then Vulza is the place to go! 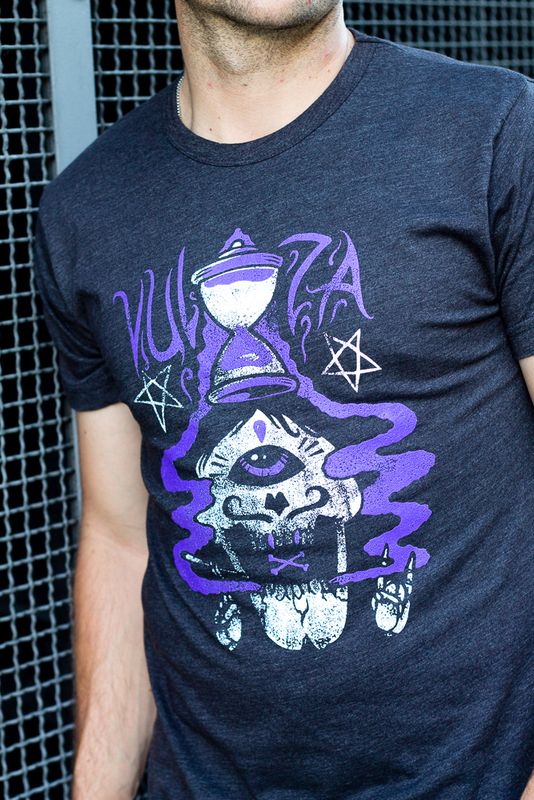 Make sure that you guys check back for more Vulza posts, and in the meantime visit their rad website! Now all they need is a women’s line 😉 Happy Tuesday! 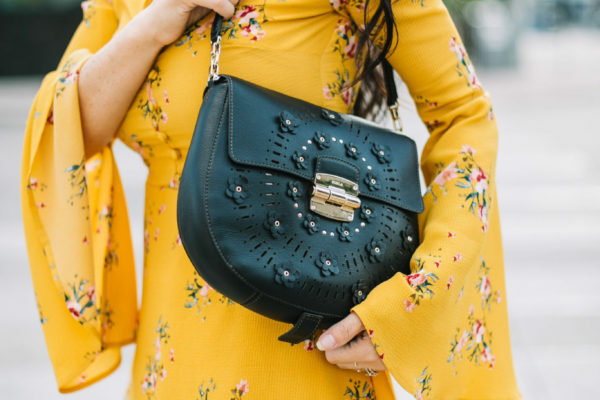 I’m so excited to order Scott some stuff off this site! Totally my hubby’s style! Thanks lady for introducing me to them! Isn’t their gear awesome Pam? Glad you like it!! !